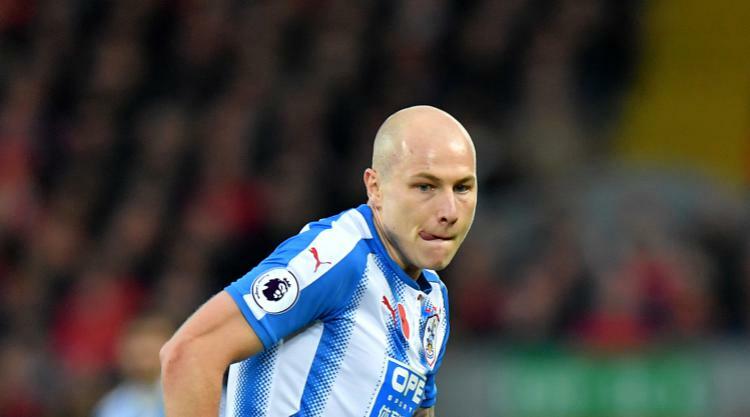 Huddersfield hope Aaron Mooy can recover in time for Saturday's Premier League game at Bournemouth after helping Australia qualify for the World Cup finals. Mooy played the full 90 minutes in both legs of Australia'a play-off against Honduras as they secured a 3-1 aggregate win on Wednesday night to seal their place at Russia 2018. The midfielder will land back in the UK on Thursday night to complete his latest sequence of long-haul flights and will have little time to rest up and prepare for Saturday's kick-off at Bournemouth. "We have a lot of experience about Aaron and he has a lot of experience about travelling from international breaks, especially back from Australia," said head coach David Wagner. "We'll do it like we've always done it. I will have a chat with him and will have a look at him (on Friday) in training and we'll make the decision before the game on match day. "It isn't the best scenario that he played (on Wednesday) and comes back (on Thursday night), b ut he has shown that he's able to handle it." Australia have now qualified for the last four World Cup finals and Wagner is hoping Mooy can harness his joy at their latest success for the Terriers this weekend. "Everything is prepared that he's able to do it," Wagner said. "A big thing in football, and this is nothing new, usually you're not able to perform as well if your mood is not the best. "The experience he has had, the difficult route he has had with the qualifiers and play-offs they've had to play, win or die in the second game, and he has done it so far. "He's shown he is a player for the big games, not only to play them but be successful and I'm totally sure this will help him." Huddersfield will bid for their fifth Premier League win of the season this weekend - they could open up a nine-point gap between themselves and the bottom three - without suspended defender Christopher Schindler. But Wagner is also hoping to benefit from the feel-good factor generated by several other internationals in his squad, with Danish pair Jonas Lossl and Mathias Jorgensen and Switzerland's Florent Hadergjonaj seeing their countries qualify for Russia. "We have a good atmosphere in our dressing room after the games they have played," Wagner added. "Everybody is back healthy. This is very important and that all of them were very successful, some of them with qualification for the World Cup. "This makes it very good. We have a good mood and I'm very happy for all of them, especially for the guys who will play in Russia next year. Now it's up to us to make sure they are a part of their teams."